Debra Danielsen, mother of Farrah Abraham who stars in MTV's reality series Teen Mom, was arrested yesterday for domestic assault. According to the Omaha World Herald, Danielsen was standing three feet from Farrah holding two knives and screaming when the police entered their Iowa home. Danielsen refused to comply with police orders to drop the knives and the officers drew their guns on her. Reports state that Farrah and her mother had been fighting over childcare issues and other "problems". When the fight heated, Danielsen threw an MTV shirt at Farrah - I wonder what they were fighting about? - and it landed near the baby, causing her to cry. Farrah reports that her mother grabbed her by the throat and hit her. Danielsen was scheduled to appear in court today and has been issued a no-contact order due to the nature of her violent actions. Watching Teen Mom makes it appear that Farrah and her mother have an unstable relationship. However, it is unfair to judge their home life based on the short, edited clips MTV provides. I don't know, but I have this hunch that publicly documenting the birth of Farrah's child and her endeavors into motherhood on one of the most highly viewed television stations of this century - where the camera presence disrupts human performance - did not help "problems" in the Danielsen-Abraham household. Just a hunch. 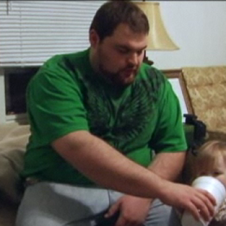 Teen Mom's finale episode airs next week on MTV at 10pm. 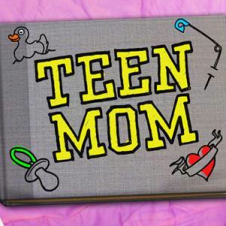 I will be following up my original piece on Teen Mom with a special finale report. Deb is about as unstable as they come. She is abusive verbally and physically. Deb can not have any conversation with anyone where she is not right and you are wrong. Farrah is a nasty piece of baggage just like her mother, and the daughter wanted Deb to be the one to care for the baby while her life would not change. Neither gets along with others for neither learned how to play nice with people. 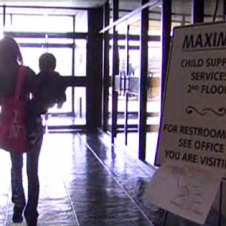 My BlogTeen Mom: But What About The Kid?